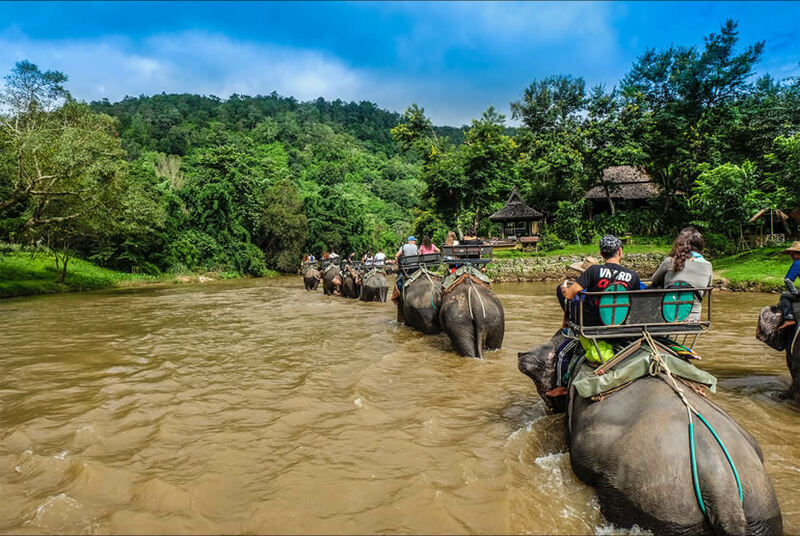 If you are planning to have a tour to Thailand, you must get to know about the elephants there, as the must-do things when travelling in Thailand include seeing the elephant, or you can understand it as having an Elephant Tour there. So, from the aspect of elephant safari, here we will share the top 10 elephant safari in Thailand for you, then you can make full preparation for travelling there. 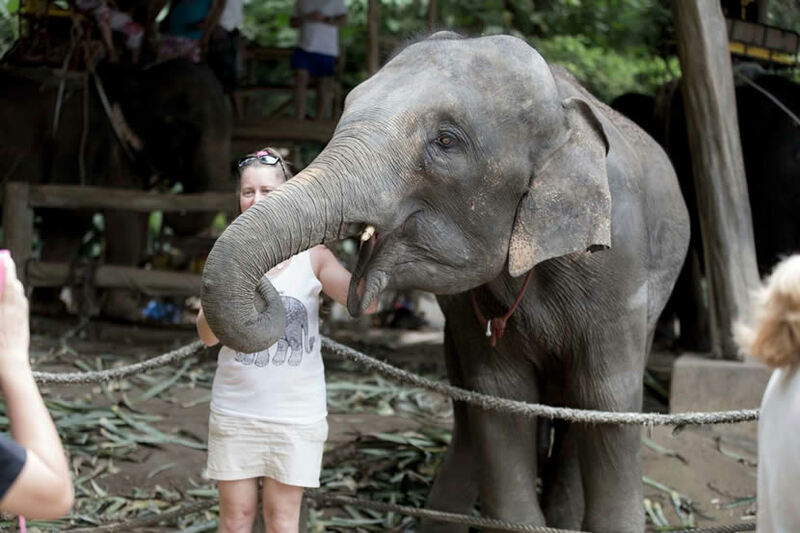 Kok Chang Safari Elephant trekking is a fantastic tour in Thailand. The location is that 287 Moo 2 Sai Yuan Road, Kata Beach, Karon, Phuket 83100, Thailand. No one uses a sharp stick to command and beat elephants here. The place is beautiful and tranquil, and the guide is very interesting and patient. 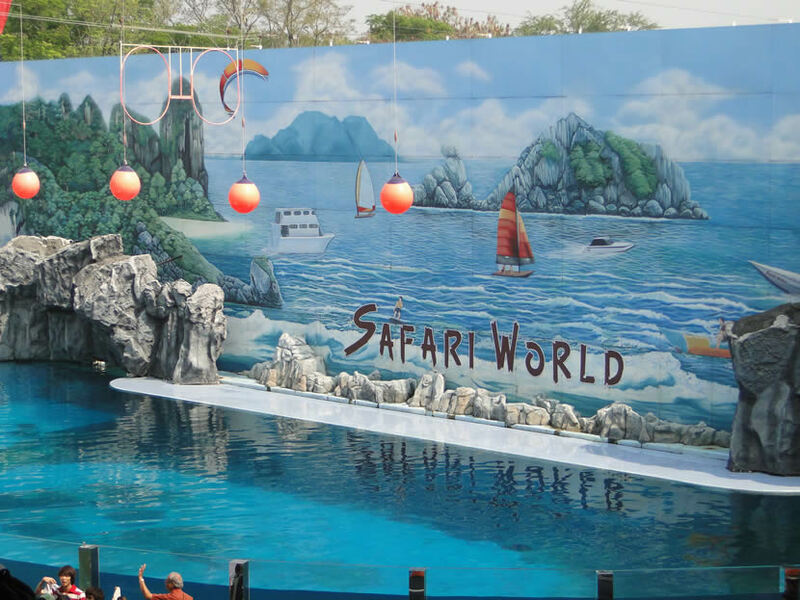 Safari World is located in the Ninth kilometers of Nanyin Road, the northeast of the Bangkok city. Safari World covers an area of 1200 hectare. The wildlife park gathers a lot of rare wild animals all over the world, and they are kept in a field that is completely inhabited by wild animals. Khao Kheow is located between Bangkok and Pattaya, covers mountains and mixed evergreen deciduous forest and the widespread steppe forest. 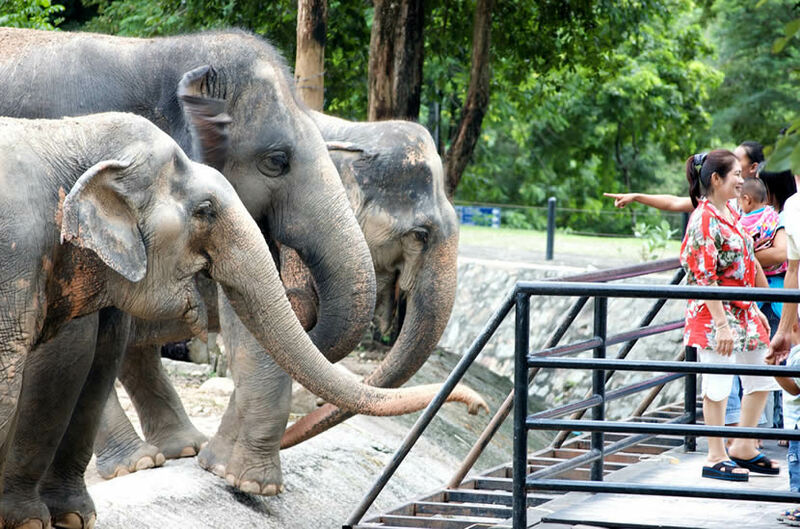 Khao Kheow raises more than 8000 animals, and it is the largest wild zoo in Thailand. The mountain and the lake scenery are excellent, and it combines the tourism with the new concept of nature ecology and rest. Chiang Mai Night Safari is located in the Doi Suthep Mountain, covering nearly hundreds of acres. Chiang Mai Night Safari is the first night zoo in Thailand, and it is also a very big zoo in Thailand. There are as many as 200 animals in the garden, including some uncommon animals, such as the white tiger. Phuket Zoo is a small zoo in Phuket. The garden is full of coconut trees and southern flowers. The environment is pleasant and delightful, and there are all kinds of animals, such as elephants, tigers, zebras and so on. 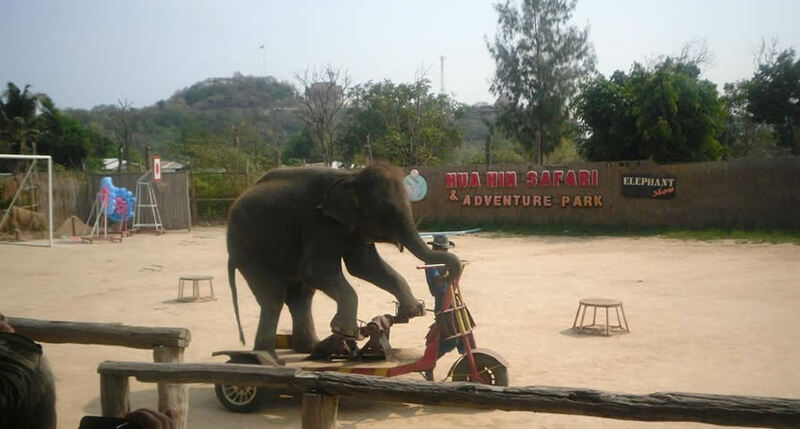 Tourists can ride elephants or take pictures with tigers, and can also feed the juvenile tigers. Hua Hin Safari is lies in 13/36 Ban Tai Resort, Khao Takiab, Hua Hin, Thailand. When you wait for an elephant show, you can sit under the shade of the tree. When the owl or the tiger approaches you, you can take some free pictures with them. 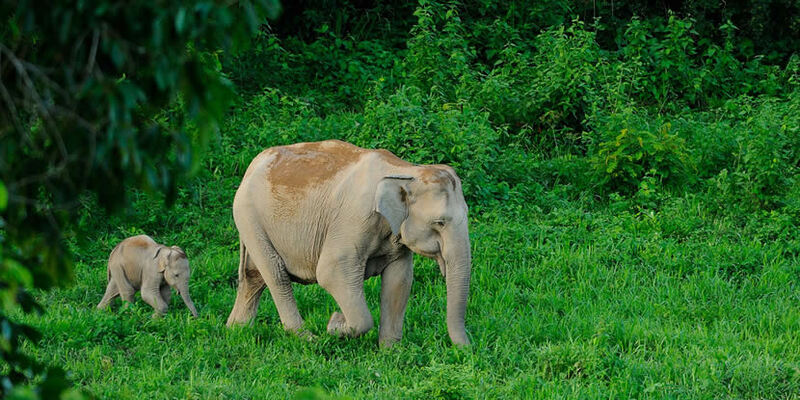 MaeTang Elephant Camp is the most famous view spot in Chiang Mai, where is paid money to care elephants. Elephants can draw and performance in MaeTang Elephant Camp. Tickets can be booked directly from the official website, if you want to go there. The Chiang Mai zoo is located in the northern part of Chiang Mai, Thailand. It was founded in 1974, and it began as a private zoo, but in June 16, 1977, Chiang Mai zoo became the official zoo. The garden has a good place to watch all kinds of animals and experience the animal customs of Thailand. 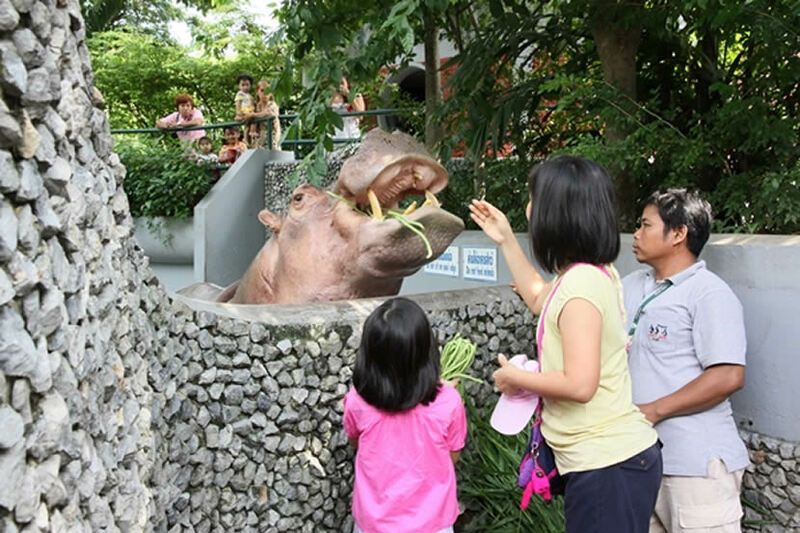 Dusit Zoo, full of Southeast Asian Animals, is a zoo centered on a large pond and covers a larger area. There are many kinds of animals and plants, and the planning and facilities are great. Each area is designed to be very characteristic, and there are models of this animal. Even the cue cards are very cute. Kui Buri National Park is 88 km far away from Hua Hin. Kui Buri National Park has a visitor center and basic facilities, but there is not restaurant. It is most popular national park of Thailand, and it is protected seriously, just as the world heritage site.